GEELONG will be boosted by the return of midfield star Steve Johnson from suspension, but has lost key defenders Tom Lonergan (concussion) and Corey Enright (ankle) for tonight's clash against Sydney at the SCG. Lonergan's loss is crucial because he would have been given the tough task of lining up on Swans superstar Lance Franklin. Cats football manager Neil Balme said Lonergan may have been able to play with a couple of extra days recovery time, but the six-day turnaround was not enough. Balme also said Enright's ankle cartilage problem was expected to keep him out for just one week. Geelong has won 16 of its 28 games at the historic ground. 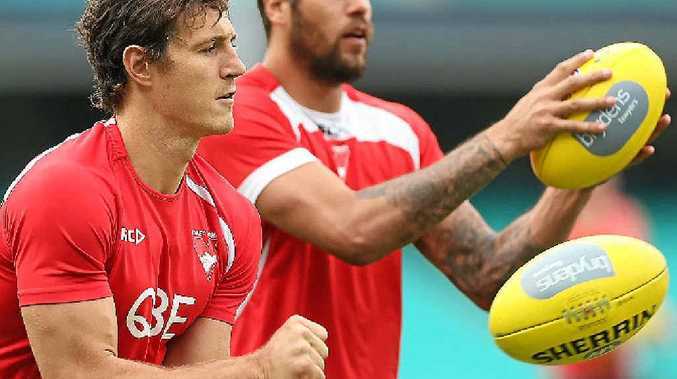 The match will see Franklin and Kurt Tippett line up together for the first time at the SCG.